CBS Sunday Morning News Correspondent Martha Teichner has been all over the world. 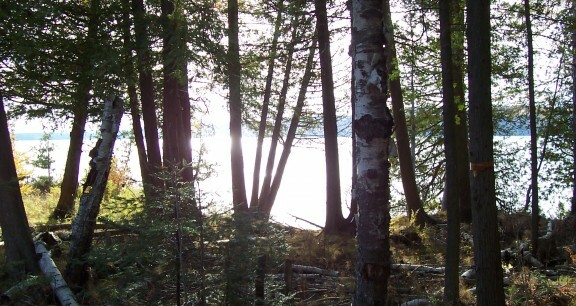 But there is no more important place to her than the cedar-and-tamarack-tangled shores of Lime Lake where she spent the first 10 years of her life. Teichner’s lead donation will help to purchase 9 acres, including 200 feet of natural shoreline and wetlands critical to the health of Lime Lake that had been slated for residential development. Another 8 acres connecting the two parcels will be donated by Jean Raymond of Grand Rapids and Lime Lake. She happened to be up on a speaking engagement at the Leelanau School, who was inducting her late father into the school’s hall of fame. Hans “Peppi” Teichner is best known locally for having taught a region to ski – everyone from Helen Milliken to children with disabilities – and as one of the founders of Sugarloaf. But his history before coming to this country is equally as compelling. Peppi was a national ski champion from Germany – and a Jew –who was coaching the Spanish Olympic Team when Hitler rose to power. When the Spanish Civil War broke out, he helped guide those who were fleeing Franco’s fascist regime over the mountains to France. A patrol spotted him, but he managed to out-ski his would-be captors. Still, his face ended up on wanted posters in the Pyranees Mountains, which forced him to seek haven in the U.S. When World War II broke out he helped train U.S. Army troops in the 10th Mountain Division. Ultimately, after the war and stints teaching skiing in Sun Valley and Aspen, he settled in Leelanau. An army buddy had convinced him to come help plan a ski area that would one day become Sugar Loaf Mountain. All she ever wanted was for the land to stay wild. She says the bulldozers jolted her into calling the Conservancy to learn about how she might donate land she had no intention of developing and had been paying taxes on for years. 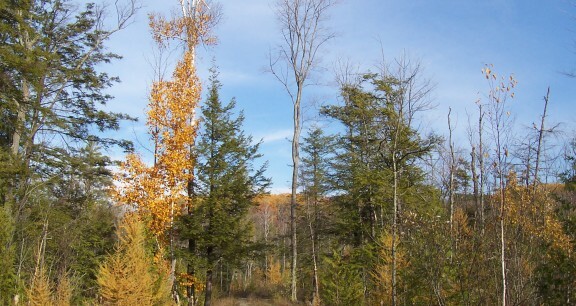 “My hope was that it would be a catalyst to encourage other longtime landowners to give easements so that the lands would remain wooded,” adds Martha. She and Conservancy Land Protection Specialist Tom Nelson worked together, and Tom negotiated with the landowner on a price to purchase the property. The landowner, who had significant funds invested in developing the property, also acknowledged the natural beauty of the land and was willing to work with Tom to reach a satisfactory agreement. Tom also worked closely with neighboring landowner, Jean Raymond. Jean generously offered to donate 8 acres of land between the existing Preserve and the property to be purchased, and by doing so will receive some important tax benefits from her donation of land. The Leelanau Conservancy is currently fundraising for the $190,000 still needed to complete the project. Plans call for the 37-acre Preserve to be open to the public as a place for quiet enjoyment and guided hikes. Martha Teichner has been a correspondent for CBS News Sunday Morning based in New York since December 1994. Her work has been recognized with four Emmy Awards, for reports on Princess Diana’s death, the Detroit newspaper strike and a factory workers’ lawsuit against the Maytag Company. Teichner also interviewed First Lady Hillary Rodham Clinton for Sunday Morning in 1995 and 1997. Read her essay which can be found in the News & Publications section of this website.